If you haven’t already seen my Facebook announcement, our second daughter arrived on September 5th. She is amazingly sweet and tranquil. She weighed almost a full pound more than my first daughter, and in a week she was back to her birth weight… what takes most two weeks to reach, we conquered in one! Must be that “vegan”diet! 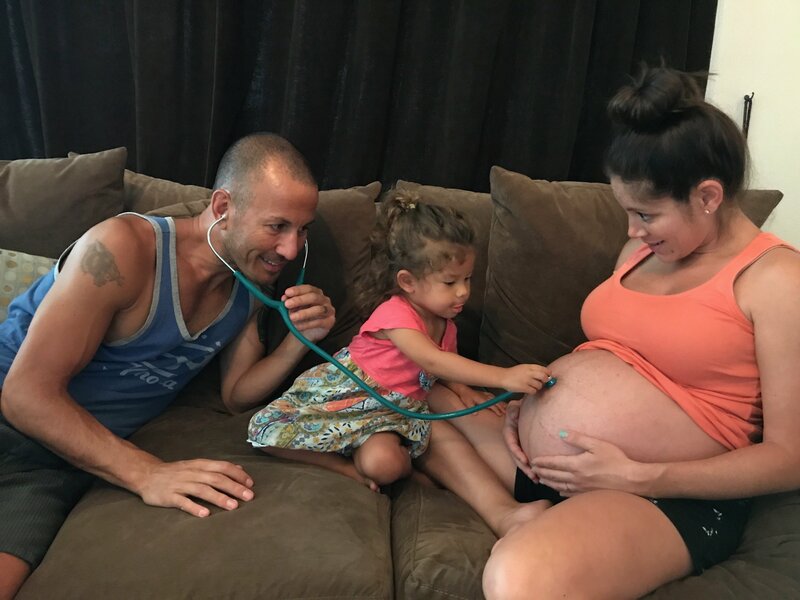 Aside from announcing the addition of our little one, the goal of this article is to address the supplements/nutrients that I continued to take or added, during my pregnancy. I’m not a big supplement person, in fact I do my best to get all my nutrients from food. This regimen is actually beneficial for the mom’s body, because let’s admit it, growing a little one is not an easy job. With that being said, I was sick more during this pregnancy than I was with my first. For peace of mind, while I was sick and fighting food aversions, I took this prenatal. I like the fact that it is made of raw whole foods, dairy free and non-GMO. Recommended by my midwife, I started taking ChlorOxygen and Floradix. ChlorOxygen is a chlorophyll concentrate. Chlorophyll increases oxygen in our blood. At the center of chlorophyll is magnesium. 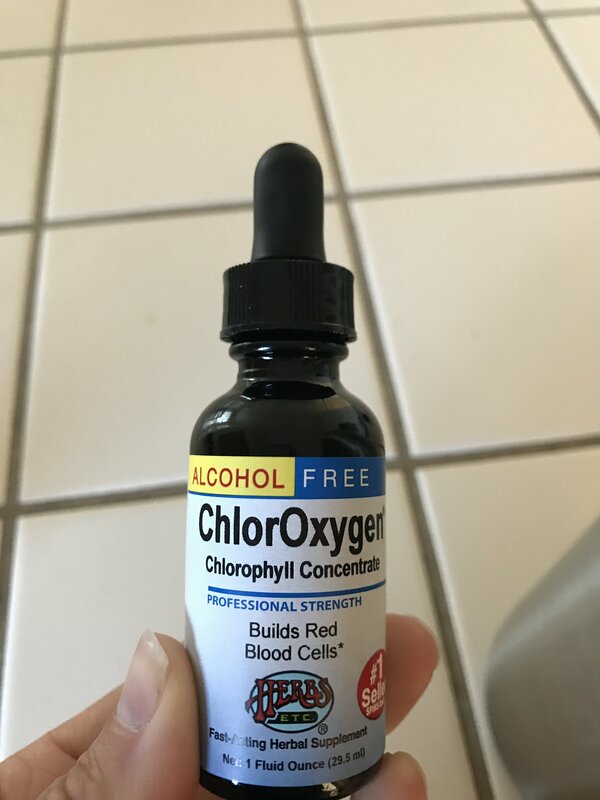 When we take chlorophyll from plants or supplements, we increase the oxygen in our blood, while increasing magnesium, essential for overall health and wellbeing. Building red blood cells during pregnancy helps decrease the chance of hemorrhaging from childbirth. Additionally, ChlorOxygen benefits include those who suffer from altitude sickness, support liver health and has been said to aid in the release of lactic acid after a strenuous work out or body treatment. Floradix is an iron supplement blended with herbs and vitamins. Anemia, an iron deficiency, is common during pregnancy. Iron plays a large role in the production of hemoglobin, and red blood cells. Also in floradix are vitamins B2, B6, B12 and C.
Additionally, the developing baby and the placenta use iron, which further taxes the mother’s body. 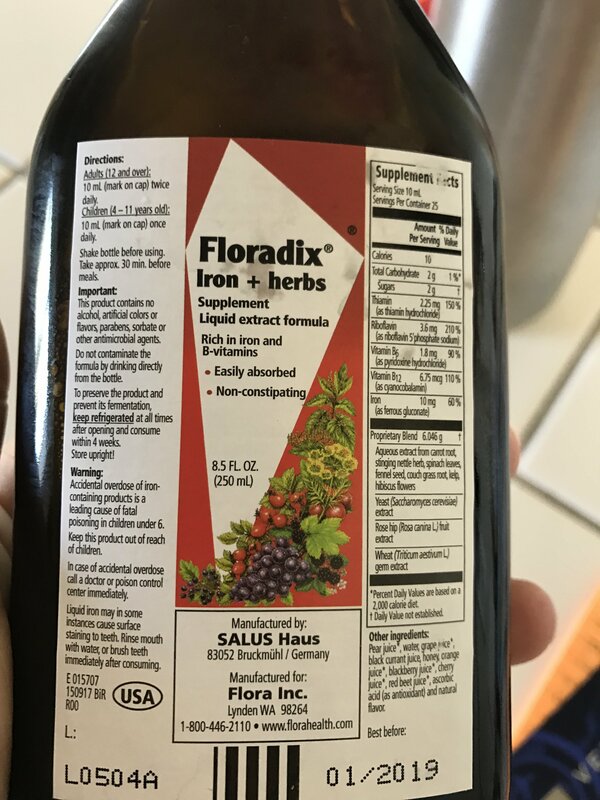 Iron supplements can be harsh on the digestive system, yet Floradix, because of its unique blend, doesn’t have the unwanted side effects (constipation and nausea). It is said to have a higher absorption rate. If you’re suffering from low iron, this will help and you’ll notice a difference with energy levels as well. 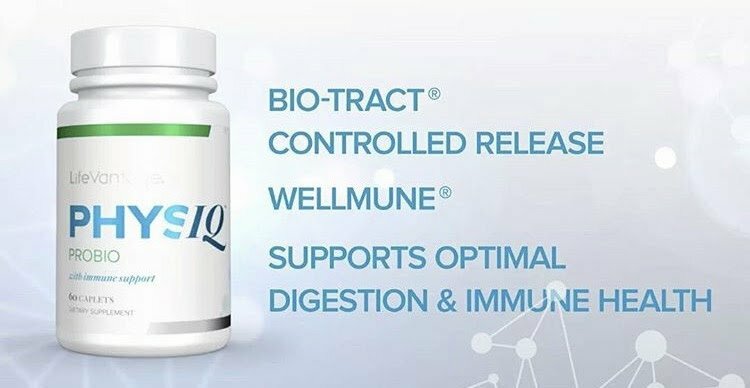 Two continual pieces of my regimen include an activator called Protandim, and also PhysIQ ProBio (probiotic). You may be asking yourself, what is an activator? Well, that’s exactly what Protandim does, activates a pathway within my cells to fight free radical damage and reduce oxidative stress. Are you lost yet? 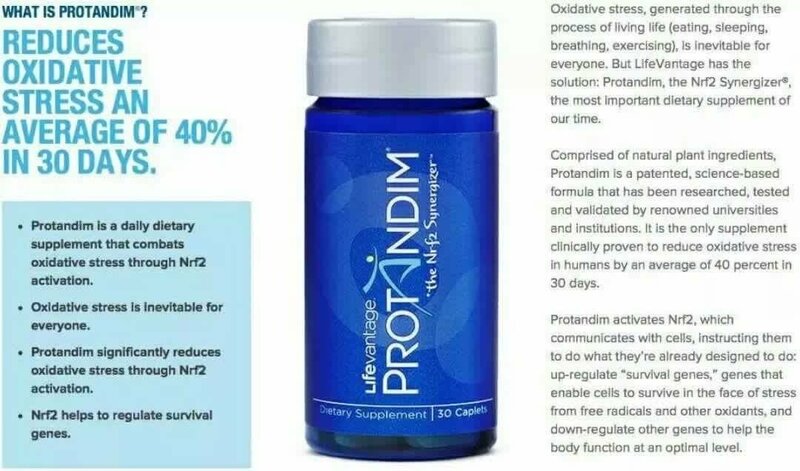 Don’t worry, I am working on an entirely separate article to address your questions about Protandim. Until it is posted, feel free to learn more here. As for probiotics, not all probiotics can be treated the same. Did you know most don’t even make it to the small intestine (where good bacteria is needed)? 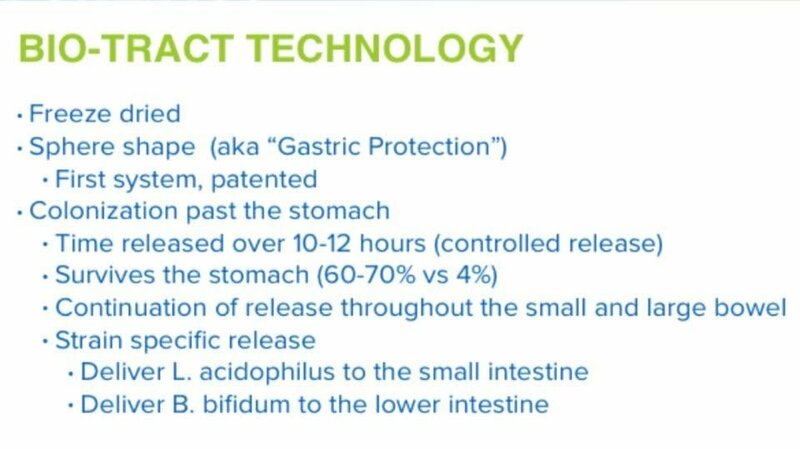 ProBio is specifically formulated to time release its strains, while withstanding a majority of the stomach acid allowing it to travel to the small intestine. With most probiotics only 4-6% make it to the small intestine, in ProBio about 60-70% make it to the small intestine. I attribute my healthy pregnancy, labor, delivery and postpartum wellness to these nutrients, in combination with eating a well rounded plant based diet. Postpartum recovery has been smooth and rapid! I was able to go for family walks (a couple miles) just two days after giving birth, and three weeks postpartum I was able to start working out again (please consult your physician about when to continue or start a fitness routine, as each person’s recovery varies). you made blogging glance easy. The entire glance of your website is wonderful, let alone the content!